Leiserowitz, A., Maibach, E., Roser-Renouf, C., Feinberg, G., & Rosenthal, S. (2015). 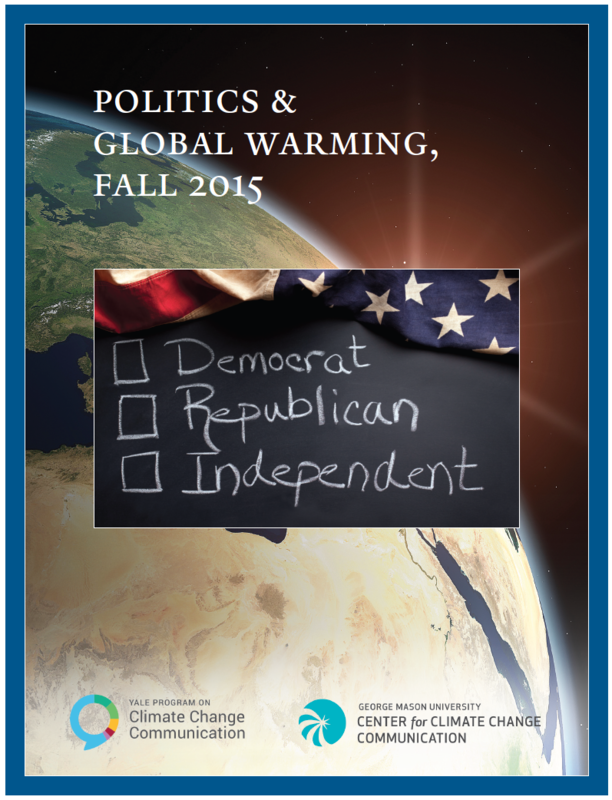 Politics and global warming, Fall 2015. Yale University and George Mason University. New Haven, CT: Yale Program on Climate Change Communication. This research was made possible by the generous support of the 11th Hour Project, the Energy Foundation, the Grantham Foundation, and the V.K. Rasmussen Foundation.